Want to lease a copier in Denver? Before you sign that dotted line, we recommend you ask these questions to avoid surprises on your lease. Beyond your vendor’s proposal, you have to consider several factors. Vendors often operate as the contractor for major manufacturers, and these independent agents follow their own rules for the structure of leases. Do You Charge for Delivery on Supplies that Are Included in the Contract? Will you have to pay for the shipment of supplies such as toner, imaging units and drums? A large number of leases last between three to five years, and if the shipping was not included in the contract, the shipping for items like toner, drums and imaging kits will add up fast. Do You Offer a Guarantee if We Are Not Satisfied? The company ships you a copier, and you soon realize they gave you lemon after you signed the lease. Will the vendor honor giving you a different machine if problems arise, or will you be stuck paying for a copier that does not work? Shipping the copier back to the leasing company costs anywhere from $400 to $1,000 per machine. An industry standard, the customer usually pays for the return fee, packaging and crating. However, you should also understand what happens if you do not give your letter of cancellation ahead of time. For example, will your lease automatically renew itself for another year, or does the lease operate on a monthly basis after that? We help you avoid these kinds of common issues with your copier lease for your Denver area company. 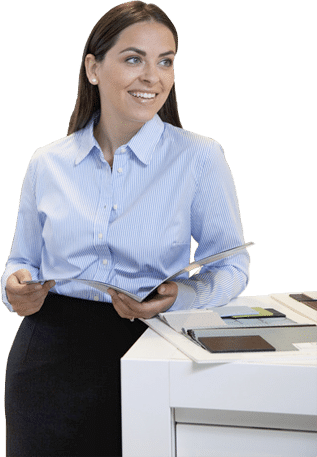 Asking these questions will help you to receive the most from your copier lease and avoid unwelcome expenses that the lease did not mention. Every vendor will operate differently, so you have to outline what will and will not be covered under the contract.